Paint. Sidewalk chalk. Legos. Play-doh. If it makes a huge mess and mommy hates it, you can guarantee my kids are all over it and begging to do it every. single. day. Last week, I couldn’t even say no to the muddling. The entire city was shut down to observe the biggest Hindu holiday of the year. We were stuck in or around the house for 12-14 waking hours. Eventually, I enforced a mandated nap time for the sanity of all involved. We did all the messy things, and mom even brought out the secret weapon of sugar cookies with squeezable decorators perfect for chubby little hands (is it weird how much I talk about my kids’ hands?). It was lots of deep-breaths and squinty surveying of the scene that rivaled my earthquake-wrecked first home abroad. I swept 5 times a day and did dishes more than I care to remember. The kids clothes got changed repeatedly, but I never got around to washing any laundry. For a Type-A mama with my own to-do-list, the struggle is real. I asked myself at least a dozen times why my kids love most the things that make me cringe. And also, “Who is buying them all these things?” (Looking at you, Grandma and Grandpa). For a Type-A mama with her own to-do-list, the struggle is real. I realized something, though. The more mess they made, the more fun they had. And the more I overlooked the things that made me cringe, the happier the overall tone in the house was. Nap time came more quickly, and I was able to restore a little order in the chaos. That’s all their little hands are trying to do among the legos, chalk, paint, and play-doh. They are learning small-scale life lessons in the middle of the muddle. It sure does feel selfish to rob them of those opportunities. Especially considering what a blast they have together. My daughter’s exclamations that her brother is her buddy have matched the number of outfit changes each day. Children learn small-scale life lessons in the middle of the muddle. She’s back to school tomorrow, and my house will be a little less chaotic. Her brother, a little more lonely. I’ll have a little extra time to sip my coffee and pop some laundry in the machine come nap time. But I’ll admit, I’ll kind of miss the muddle and the two extra hands to clean it up. Do you cringe at all the messy things your kids love, too? How can you live the Golden Rule towards your little home wreckers today? From any perspective, she has adjusted well. While she doesn’t often mention missing her grandparents or friends in America, she hasn’t been unaffected by boredom and loneliness. She even worries about everyone hating her, noting how the few kids she knows shoo her away with stuck out tongues. These missionary and mommy worlds often collide, and my daughter is found in the debris. I can shield and protect her, keep her to myself, and never let her experience this country. Or I can allow these experiences, however painful, to shape and mold her into who God wants her to be. At that time, I had become aware that what we were doing wasn’t working. This awareness made me able to make some changes that lifted her spirits. I began spending more one-on-one time with her by allowing her to stay up a little later with mommy. We went on more walks around the neighborhood and tried to get out more. It hadn’t just been boredom and loneliness. My sweet 3 year old had been hurting in big ways she didn’t understand. She didn’t know that she needed social interaction and sunlight, she just knew she was sad. I got sucked up in my schedule and missed an opportunity to really see her, pour into her, and love her back to life. As busy moms, it is so easy to just check off the daily to-do-list and just barely make it to bed time and fail to check in with the hearts of our children. Sometimes there is more than just rebellion at the bottom of that explosive toddler tantrum or brooding teenager in the backseat. Often there is more than just rebellion in toddler tantrums or brooding teens in the backseat. Awareness involves questions, quality time, and constant prayer. It alleviates unfounded worries and causes me to make change in areas where it is really needed. Just like me, my children want to be known but may not always be able to express complicated emotions. The responsibility falls on me to study them and surrender their needs to Jesus. Awareness involves questions, quality time, and constant prayer. My prayer is no different than last year: that we can point her to Christ, and that she will trust Him with her life. I ask God to make me aware to her needs and to give me wisdom to meet them. Parenting is such an enormous responsibility, and, honestly, one I don’t feel overly qualified for. But there’s so much grace in my inadequacy. God meets me each day, giving me what I need for this most important ministry called motherhood. My eyes and ears are open. My heart is bowed before the Giver of this most precious gift. Are you aware of the needs of your children? How can you open your eyes to see them today? We had been carried by cable car 8,000 feet above the city we’ve spent a year and a half falling in love with. Removed from the startling sounds of city life, we stood in awe of the beauty of our home abroad. I chased my children around, avoiding falls down the side of a mountain because I’m a good mom like that. I watched my husband from afar as he gazed across the Valley. I sensed what he was up to. He was praying, strategizing how to reach this country with the gospel. Up in the clouds, he was dreaming bigger-than-blue-sky dreams. The God who made the peak we stood on made his heart just big enough to hold them. But the thing about God-sized dreams is they can get rather heavy. The thing about God-sized dreams is they can get rather heavy. I peer across the Valley, and I see smog and earthquake damage, countless people carrying tremendous burdens. I am overwhelmed at the task ahead and shake my head at these far-fetched plans. It can’t be done. I remember that Jesus asked His followers to evangelize the whole world. They stood looking into heaven, waiting for Christ’s return when two angels rebuked them to get to work on this impossible task (Acts 1:10-11). I can stand here, holding my husband’s hand, admiring his God-sized dream and waiting for the Lord to come relieve the weight of its burden. Or I can keep the pace of feet chasing the impossible, shouldering the weight of the burden as we inch closer to completion. Living the Golden Rule is simple on this one because, being one with my husband, this dream occupies my heart, too. On my end, there is so much fear and insecurity that threatens the success of these dreams. My heart is so frail, and I think it might burst from the burden of this work. I surrender it to the only One who proved on the Cross his ability to carry it. There’s a peace that this is the best way to help. I rally my kids and sneak a second next to my man whose brow remains furrowed. I squeeze him around the waist and thank God for the super-size dream we share. We take in the magnitude of it all until my toddler gets that look in his eye. He’s about to stray from the protected path and plummet down this mountain. Better stop staring and get back to my job. *No children were harmed in the making of this dream. Do you and your husband have God-sized dreams? What is your role in seeing them through? At the beginning of our fund-raising phase of our missions endeavors, we met with a group of missionaries to talk marriage in the throes of ministry. We were asked to jot down questions and submit them to the leadership to be addressed during our sessions. Though it was meant to be private who asked each question, the shade of my cheeks was giving it away. We had little to show for the hours he spent on the phone and the thousands of miles we logged on our minivan visiting each potential supporter. In attempt to protect me, he had not disclosed his fears about the road we continued trucking along despite the overwhelming obstacles we maneuvered along the way. I admired his care for me, but I felt alone in the work we were doing together. I wished he would just wear a post-it note on his head revealing his feelings. We were encouraged to share more openly which is what I hoped he he would hear (I was rather in the habit of pouring out my heart). But I was challenged to love him in the silence, ministering to him in the ways I know bless him. I was urged to trust him and follow him even when it seems I’m clutching his hand in the dark. At the same time, however, I would remain on my knees before the Lord asking Him to guide my man and make known to me how to help him on his mission. If I expect him to submit to the Lord as he leads our family, living the Golden Rule, I must also submit to the Lord’s work in my family. I must trust that, ultimately, He is the one who leads the way and that He will direct us as we strive to do His will around the world. I learned to minister to my husband even when I’m left out of his world. Our marriage blossomed even in these difficult times, and, eventually, so did our financial support. I thank God for how this has changed our life and ministry on the foreign field. Even still, the post-it would be helpful. Do you feel left in the dark in your marriage? How can you minister to your husband today? The Test He’s Sure to Fail: Does He Really Love Me? Pig-tails hang over slumped shoulders as a girl in a smocked dress rehearses the game she learned so young. She picks silky petals off spring blooms. One special boy in mind, fate is left to an odd or even number..
I’ve grown past this game, but I’m afraid I still bounce back and forth between “He loves me” and “He loves me not.” It’s not that I didn’t believe my vows or trust my husband’s word to be true. It’s just that tangible affections are affirming. However, when I test my husband’s love on the teetering scale of my emotions, I set him up for certain failure. When I test my husband’s love on the teetering scale of my emotions, I set him up for failure. The acts of love must be lovelier. The gestures more and more grand. Not only does he have to measure up to my own lofty expectations, but he also has to compete with every husband represented by women live-tweeting their love. Pondering the Golden Rule, I sense how unfair such a test is. I wouldn’t want him to measure my love based on today’s mood, especially since I have a cold and my kids hate sleep. I could not even handle thinking that my husband’s head would hit his pillow with any doubt left that he is deeply loved. I tell myself what I already know: He loves me. He chose me. And I open my eyes to all the ways he shows me. What causes this doubt that I am loved and accepted? It starts between me and the God who made me and it seeps into the seams of my marriage. God’s love for me has been tested and found to be 100% true. While my husband will never earn perfect marks, I can give him a break because I don’t need proof that I am loved. I find that in the pages of my Bible and in countless evidences of grace in my life. Everything beyond that is the sweetest bonus. Are you constantly searching for affirmation that you are loved? Rest in the 100% surety that you are loved today! 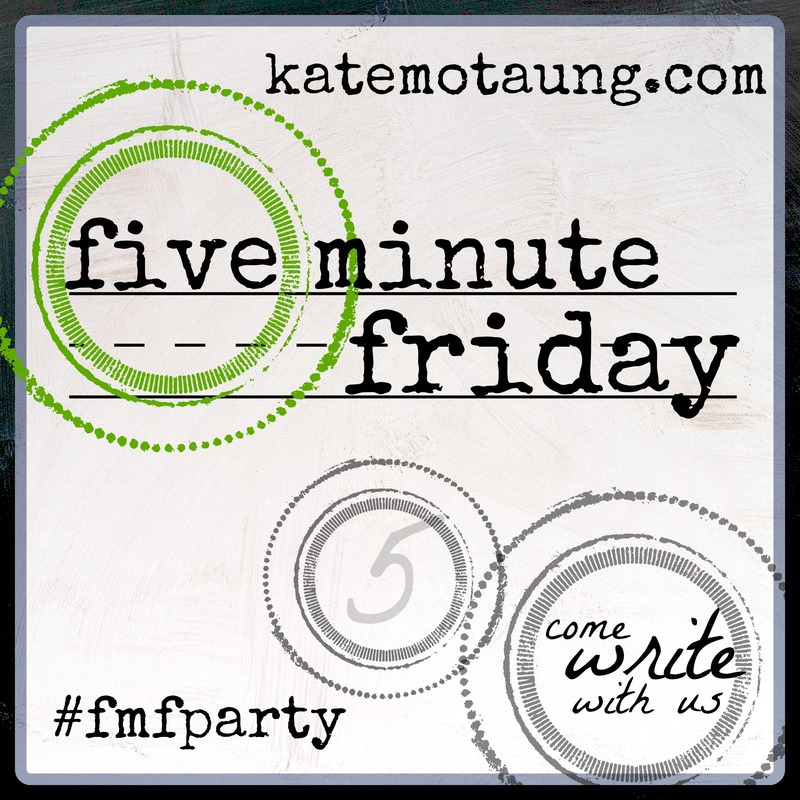 Fresh Market Friday, Five Minute Friday is where I’m linking up today!